Concerns of supply chain disruptions following the eruption of Sino-US trade frictions will not slow foreign firms' steps to invest in China, where broader market access and a stable policy environment are now much more highly valued than ever. United States new energy vehicle giant Tesla said earlier this month that it will open its first overseas factory in Shanghai, following the establishment of a technology innovation center in Beijing last year. China is the world's biggest new energy vehicle market as well as Tesla's biggest market outside the US. "With the talent base in Beijing, we plan to conduct further cooperation with the municipal government, research institutes, colleges and universities," said Ren Yuxiang, vice-president and head of Tesla Asia-Pacific. French drugmaker Sanofi decided in early July to spend 500 million yuan ($73 million) to launch a research and development, and innovation center in Southwest China's Chengdu, Sichuan province, with a focus on digitalization and big data analysis, aiming to link the country's innovative achievements with the global ecosystem. In the short term, the ongoing trade frictions might dampen the willingness of some cost-sensitive foreign firms targeting the US market to invest in China, as the additional tariffs set by the US will increase their costs and heighten economic uncertainties, said Yang Changyong, an associate researcher from the Investment Research Institute of the Academy of Macroeconomic Research. However, China still has long-term appeal as it continues to open up its huge market to foreign investors and moves up the global industrial value chain from a manufacturing powerhouse to a strong R&D and consumption player, Yang said. As multinationals bothered by tariff barriers are seeking to rejig their supply chains, analysts say a reliable policy environment, huge market demand, and broader market access are consolidating China's strength in the global competition for foreign investment. After establishing a factory in China, Tesla, for example, could better explore the Chinese market and maintain its global competitive edge by benefiting from local preferential industrial and tax policies, and boosting production at lower costs, according to analysis from Sinolink Securities. While China's trade growth is expected to moderate due to trade frictions, foreign direct investment in the country remains resilient. In the first half of the year, nearly 30,000 foreign-invested enterprises were established in China, up 96.6 percent year-on-year. The actual use of foreign capital grew 1.1 percent year-on-year, reaching 446 billion yuan. US investment in China grew 29.1 percent during this period, according to statistics from the Ministry of Commerce. Yang said that although labor costs are rising in China, the new advantages of high-quality human resources-for example, well-trained college graduates-will be favorable in attracting high-end industries. The steady growth of foreign investment is likely to continue as China is opening itself wider to the world. Last month, China revised its negative lists for foreign investment, further widening market access in finance, transportation, professional services, infrastructure, energy, resources and agriculture. The nationwide negative list has been cut to 48 items from the 63 in the previous version, while the list for pilot free trade zones decreased to 45 items from 95. Both lists will come into effect at the end of July. China's easing of investment restrictions in the financial sector has already lured many foreign firms, including Bridgewater Associates and BlackRock, to tap into the country's growing financial services market. BlackRock has registered its first onshore equity fund in China. David McCormick, co-CEO of hedge fund Bridgewater Associates, called China "a globally impactful economy" and Chinese assets "a valuable source of diversification". China is expected to import goods worth $8 trillion from 2017 to 2021, while attracting $600 billion of foreign investment. "China is upgrading its industry and consumption structure," said Sang Baichuan, a professor at the Beijing-based University of International Business and Economics. 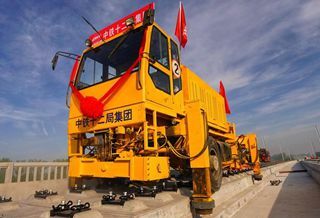 "The huge market and emerging opportunities will attract more foreign capital, and that in turn, will further stimulate the country's industrial upgrading."